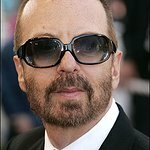 Eurythmics legend Dave Stewart has launched a new video contest with Stand Up To Cancer. The star is inviting YOU to record a new version of the song and video he created especially for the charity, Up2You. The winning entry will be included in this year’s massive television event in September. “As most back stories to songs do, this one begins with a woman,” wrote Stewart in the Huffington Post. "In this case, it’s the powerful force of nature known as Laura Ziskin – not just a cancer survivor, but a cancer fighter. When she’s not making movies about superheroes, she’s off being one with her Stand Up To Cancer cohorts. I met Laura at an event about a year or so ago, and we connected immediately. I am drawn by “big idea” people, who attempt such seemingly impossible feats with such gusto and vigor you are confident they will succeed. So one big idea person met another big idea person and we started talking music and cancer. “Laura mentioned she was looking for an anthem for Stand Up To Cancer – something that would inspire conviction but also acknowledge all the loss this disease has caused. I went home that night thinking about the friends and family whose lives have been lost to this vicious disease. 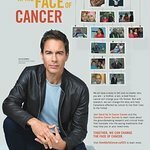 And I thought a lot about the mission of Stand Up To Cancer, the possibilities of doctors and scientists working together, and whether a cure would happen in my lifetime. I thought of Laura’s tenacity and how she is unafraid to face cancer. I also thought about how the word cancer is so scary people hardly want to say it, let alone sing it. I thought if we can’t speak it, how are we to defeat it? So it was important for me to put the word “cancer” in the chorus. I wanted people to confront the word in the song. Several of my friends and fellow musicians have suggested I remove it. But I thought, that’s the whole point. We have got to say it – as painful as it is. We have got to say it. “Eventually, I asked Joss Stone to help me sing the song and record it for a series of Stand Up To Cancer PSAs. Joss’ voice is so powerful and soulful — it gave the song and the word a new dimension. When she sings, it is defiance. When Ann Marie plays, it is elegiac and at times mournful. That is the dichotomy of the 12 million cancer survivors — fighting in spite of your fears. Perform your own rendition of Dave Stewart’s “Stand Up To Cancer” song and upload your video to SU2C’s YouTube channel for a chance to win the Grand Prize of a Takamine Guitar – and the chance to be included in the live Stand Up To Cancer telecast on September 10. Watch the original video here, and find out how to enter the competition at the SU2C website.